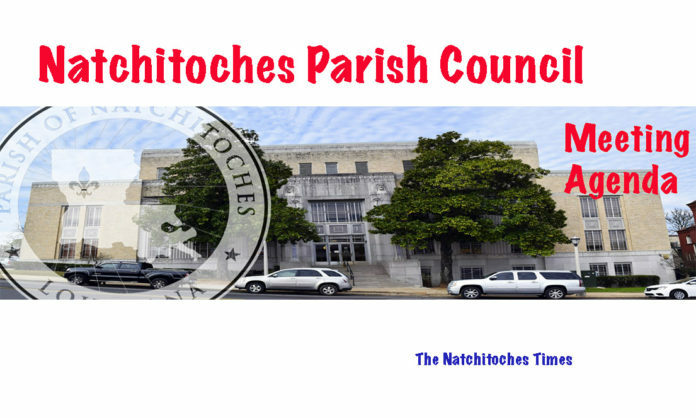 The Parish Council will decide whether to allow a vote on creating four road tax districts when it meets Monday at 5:30 p.m. in the Natchitoches Parish Courthouse. There will be a public hearing before the vote to get input on the proposed ordinance that will create four taxing districts to support road maintenance. Should the ordinances get favorable votes at the meeting Monday, they will then be put before the public. Taxes would remain in the districts in which they are collected. The council will also vote on terminating use of property by the Shady Grove Community Center and return it to the Shady Grove Missionary Baptist Church; reducing speed on Jordan Loop Road to 15 mph; executing quick claim deed on Parish property sold to the Sheriff’s Office; and revising the budget to allow for building courthouse handicap ramps and renovating restrooms. Other agenda items include awarding the bid on Hampton Road; approving a raise for parish council clerk; submitting application for LGAP funding; hiring firm to dispose of waste tires at solid waste department; and disposing of surplus items in jail cells, at highway building and facility including furniture, computers, books and household materials.